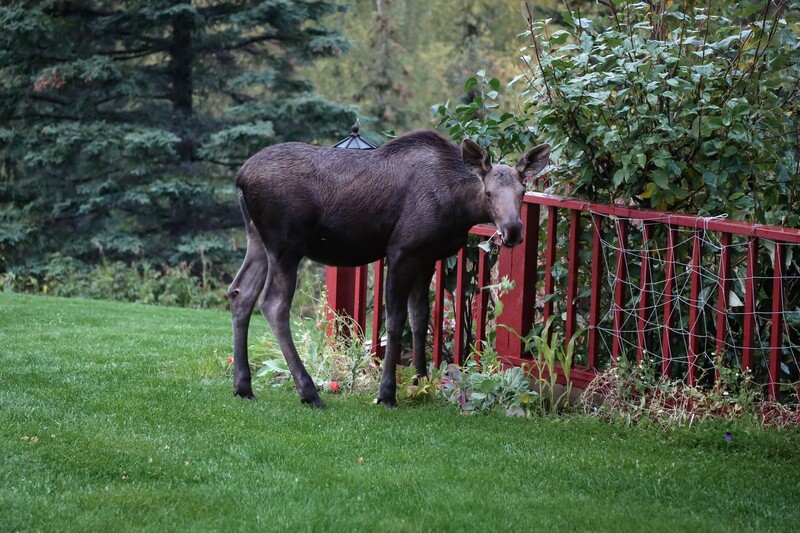 I have an ongoing issue with moose eating my garden. I’ve tried various sprays and so called repellent granules but it doesn’t phase them. Some of these are so big, I’m afraid to go outside. Is there anything I can use to scare them off when needed or some kind of repeller available? 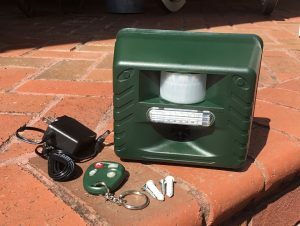 I was looking at your deer sound repeller and its says it will work for moose but do I need to keep it running all the time or can I use just batteries? 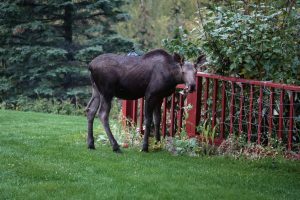 Moose can cause a lot of damage and once they discover something in someones yard, they will generally keep coming back until the supply is completely consumed. They’re also a threat. Confronting a moose – especially surprising one – can be hazardous. To keep them off your property, line all entry points with our SOUND REPELLER. This device can protect up to 5,000 sq/ft depending on how you use one. By default, our unit will send out ultra sound. This sound is not tolerable by moose so they’ll move away from the area where they hear it. The effective range of this sound is up to 100 feet away from where the unit is deployed. For this reason, its a good idea to keep it running as much as possible so if you want the most protection possible, plan on powering the unit with the included power supply. If needed, this repeller can be powered by 4 “c” cell batteries. The only “limit” of this option is that the unit must sense an intruder to go off. The rage of the unit is about 30 feet so unless the moose pass close enough to be detected, the unit will go on. To ensure complete coverage, plan on using a machine installed every 30 feet for known entry lanes. When powered by batteries, you can set the Operating Time to “night”, the Ultrasonic switch to “Motion Sensor”, the Motion Sensor Sensitivity to “30” and the Sonic Volume to “60-80”. The Frequency (yellow knob) should be almost all the way to the left pointing at the word “Deer”. You’ll need 4 “c” cell batteries to keep it running and ready to turn on when activated. Another great thing about this unit is that it comes with a wireless remote key. This allows you turn it off/on as needed. But on this remote there is a “red” button. Use this and the machine will release a full blast “alarm” type sound that will scare moose, deer and even bear. Units should be placed 4-6 feet above ground and pointed in the direction where animals are entering as well as “over” the turf you want to protect.